Terrence has often used his own “backyard” as inspiration for his collections and so it was with the work of neighbour artist Jeannie Kinsler. 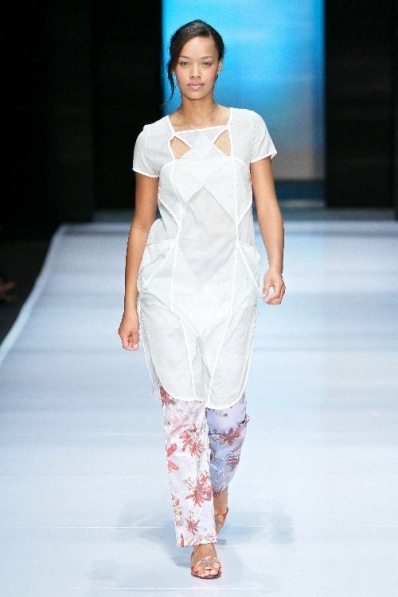 Her use of light, colour and fragmented layering provided a wonderful starting point for the Spring / Summer 2012 /2013 collection. Bray photographed her work then printed it on a selection of fabrics including satin and chiffon to produce the fabric for the collection.